This GPS map will give you accurate turn by turn directions to your destination using a point of interest (POI), city point, and/or latitude and longitude, with the ability to preplan driving destinations before getting into your car. 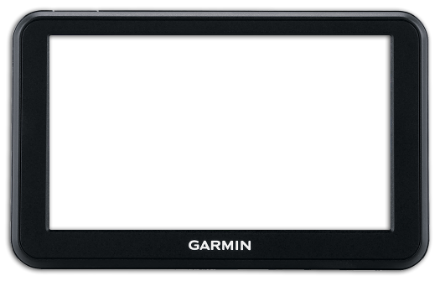 Drive with confidence throughout Nicaragua, Costa Rica and Panama using your own Garmin while saving money over car rental GPS devices. Maps Included: Nicaragua, Costa Rica and Panama!! Below are some images of the Central America South GPS map as viewed on a Garmin Nuvi GPS device. Mixed reviewsnWe bought this for our trip to Costa Rica and have used it several days in country. You can pick a general area but not a specific area. For example, it will get you from the airport to Atenas, but not a point in Atenas. You can't search by points of interest. So, when you get to a general town, it is still hard to get to the specific location you want. You can't search for a specific place in town, such as a grocery or gasolinera. Never takes the same route twice. If we go from A to B, to get back to A, it goes through C.
Does seem to the general towns and major roads. When you're on a route it does a good job of following the correct path. Good, not as accurate as I would have likednIt was easy enough to install and get working. It's nice to have different Central American countries on one map. I used it to drive from San Jose, Costa Rica into Nicaragua and back. There were at least a dozen times each way that the GPS tried to alter the rout because it thought I had left the route when, indeed, I had not. The map showed the road a few hundred feet from it's actual position. This led to a frustrating series of "recalculating" and "please drive to highlighted route" commands even though I had not veered off course. Working fine so farnI downloaded these maps for a short notice trip to Panana. They are working just fine with my GPS Map 7 CSX. Very detailed. Directions routing just fine. Finding a POI doesn't produce reliable results, but I'm happy overall. BuenonEl mapa es bueno, aunque siempre se pueden mejorar los productos. Algunos lugares hacen falta por ejemplo en la peninsula de Azuero en Panama. Es bueno, solo digo que se puede mejorar. Great servicenI have not used the map yet. I purchased it for an upcoming visit to Panama. I must say the customer service at GPS Travel Maps is excellent. central america south bundlenYour people on the other end were very quick and promo in answering my emails. They explained every question I had. I checked the panama map and found old places and new. I was station in the canal zone in 1972.thanks guys you have a great product. Does the job! Good price too.nRoads are mostly a mess in Nicaragua and Honduras. This is a good help/aid. Central America South BundlenMy brother used this map in Central America last year, and I borrowed from him and it was a good resource traveling to the Central America streets and roads it was very helpful so I decided to buy my own so I don't have to use my brother.